SQLite is a relational database management system contained in a small (350 KB) C programming library. 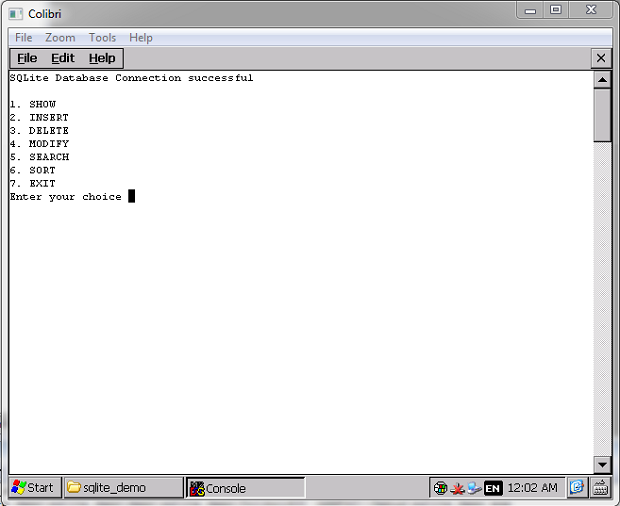 SQLite is a popular choice as embedded database for local/client storage in application software such as web browsers. It is arguably the most widely deployed database engine, as it is used today by several widespread browsers, operating systems, and embedded systems, among others. Download the sqlite_demo source code from here. 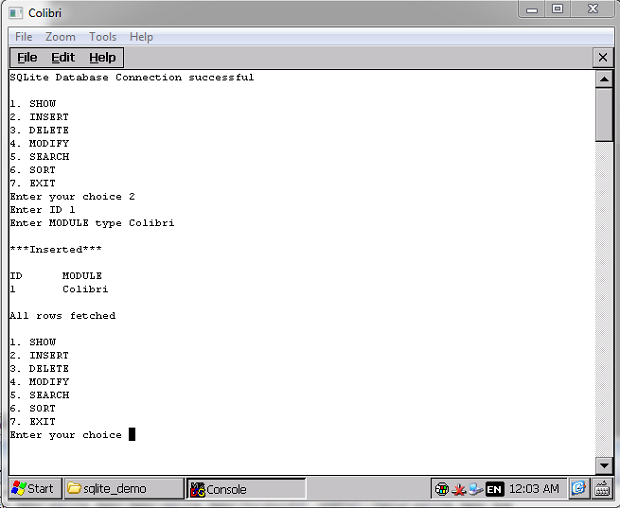 Build sqlite_demo.sln in Visual Studio 2008 and then deploy on Colibri device. 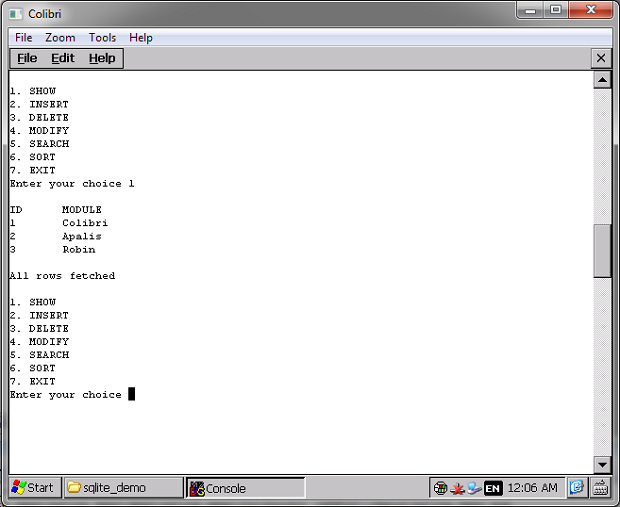 Navigate to Program Files on Colibri device, project folder and run sqlite_demo.exe. After insert press 1 to display whole DemoTable. To delete enter 3 & then ID to be deleted. To modify enter 4 & then ID to be modified and then new ID and MODULE. To Search enter 5 & then ID to be searched. To sort enter 6 it will get sorted according to ID.